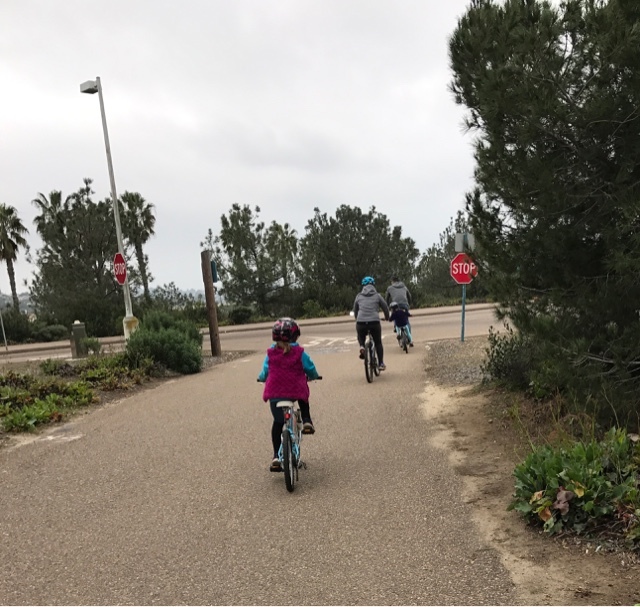 My day started out with a family bike ride. What I didn't know was it was going to be over 11 miles long. I hate the seat on my bike here and that's a long time on a seat that is uncomfortable. 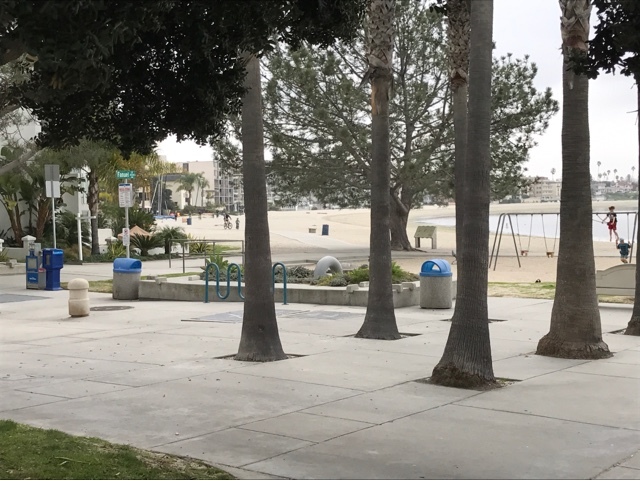 Our ride took us around Mission Bay, including past Sea World, Mission Beach, and Pacific Beach. Granddad spent most of the time picking up the rear on the ride. I bought a bike and leave it with my son so it is here when I come and I can participate in rides like this one. 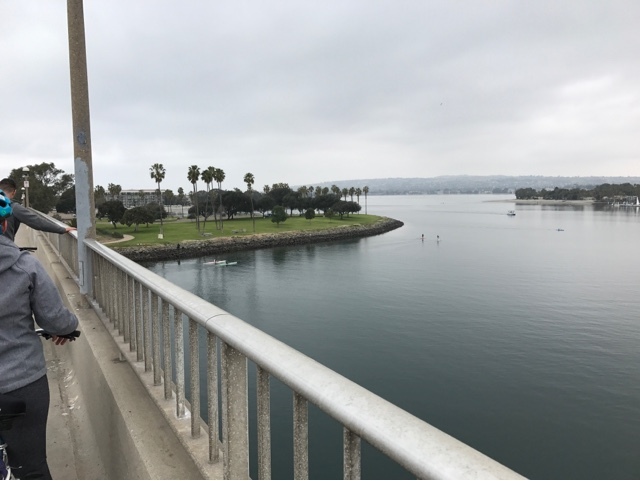 The ride is relatively flat except for this bridge with a view of Mission Bay. There are parks along this ride like this one above where there are bathrooms and water fountains. 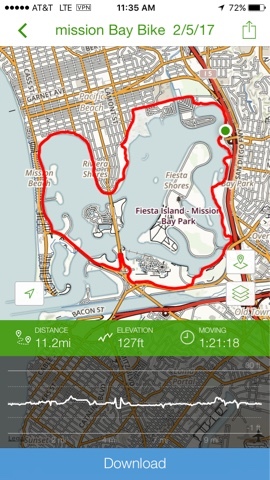 I was happy with the ride as it was a great exercise and will help with my endurance for my backcountry hike. 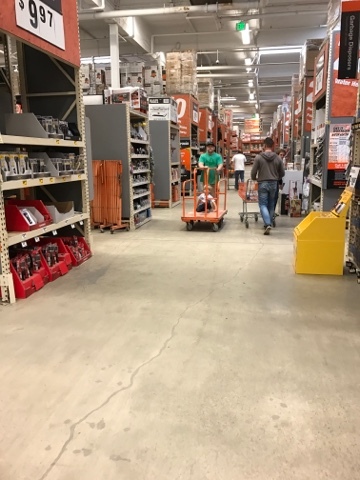 Above is another trip to Home Depot with my son to buy more electrical supplies for more work, now in the master bathroom. He is putting in a exhaust fan in the bathroom ceiling and some additional LED lights. My daughter in-law asked me to go on an urban hike this afternoon, so I left my son to his own efforts to work on the bathroom while I went on a hike. The hike was 5 miles as I forgot to start recording right as we started walking. I wondered how I would do on the hike after the bike ride but my conditioning has paid off with the hike not bothering me. 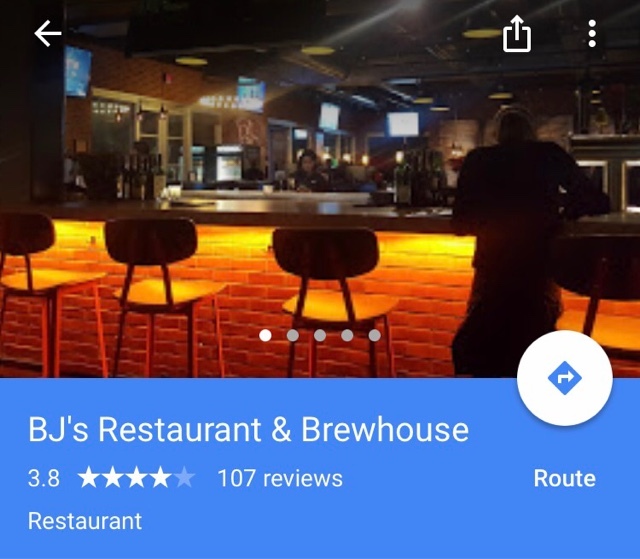 We stopped at BJ's Restaurant and Brewhouse for something to drink and took an Uber back to the house, getting there about an hour after the Super Bowl was to start, but we know starting the game takes about a half hour. The game was depressing and my son needed some additional parts at Home Depot so I offered to go. (Second time today!) I also opted to stop at McDonalds for an unsweetened iced tea. I arrived home to shouting that the game was just tied and was now in overtime. 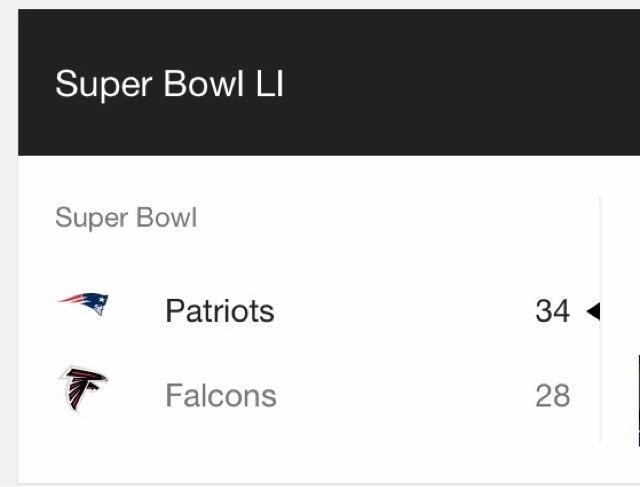 Luckily I got to see the now historic ending of the Super Bowl game that will be talked about for years to come. Who would have thought that the Patriots could have beaten the odds by coming back from not two unanswered touchdowns but 3, to win the game. This week as the family is at work/school during the day I have a list of things I will be doing to secure things for my backpacking trip. After I leave here I need to have resolved and obtained most of what I need so I can take some practice hikes with my full pack. I will be doing other things in San Diego so I will be writing about them too. I also have some Prius Vandwelling Techno Speak I will be covering to answer questions I have received over the last couple of weeks. I just saw this post. I use a seat called Ergo The Seat on all my bikes. I can't sit on anything else after having ridden recumbents for years.